What Is the Best Day of the Week to Book Airfare? You’ve probably heard the rumor: in order to save money on your flight, the best day of the week to book airfare is Tuesday. Right? Well, not exactly. This so-called “industry secret” comes from the idea that airlines announce their deals on Monday evenings, so by Tuesday, all the other airlines are trying to compete and match those prices. However, this information is outdated, and the rumor is untrue. A CheapAir.com study found that on average, there is a less than 0.6% (less than $2) difference between purchase prices on different days of the week. Here’s something else to consider: Americans aren’t the only ones booking flights. Your Tuesday afternoon isn’t the same as everyone else’s, which helps dispel the whole “Tuesday is cheaper” theory. But wait! That doesn’t mean you have to overspend on airline tickets. There are a few tricks to getting the absolute lowest fares possible for flights, even if it doesn’t matter which day of the week you choose to purchase. The day you book your travel may not make a significant difference in cost, but the day you’re booking that travel for DOES matter. The most expensive day of the week to fly is Sunday. The least expensive? Tuesday or Wednesday. Sometimes changing your itinerary by a few days can save you hundreds of dollars. There’s a delicate balance between booking your flight too far in advance and waiting until the last minute. Scheduling travel six months or a year out isn’t cheaper – it’s often pricier. But that doesn’t mean you can wait until the week before you leave, either. The website CheapAir.com found that the magic number for booking the cheapest flights occurs 54 days before the departure date. Even if you can’t get that exact, anything between 121 and 21 days before the trip is generally less expensive. It takes a little extra legwork, but researching typical airline ticket prices for your destination helps you determine if you’re getting a good deal or not. A $500 flight from London to Japan is a great price. A $500 flight from London to India is most likely a ripoff. Knowing roughly what you should pay for your flight will help you narrow your search quicker. The cheap price you see advertised may not be the price you wind up paying. Taxes, baggage check fees, and other hidden costs could drive up the cost to be equal to the next most expensive flight. Plus, if the cheapest flight has a five hour layover, getting home earlier might be worth the extra charge. 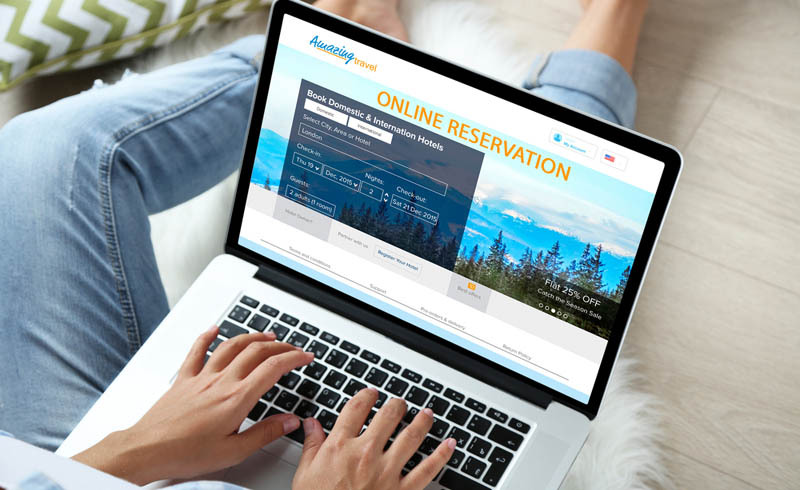 You may think that discount sites are the cheapest place to book a flight – but that’s not necessarily true. Always check the airline directly and compare prices there before you buy your ticket. Sometimes you’ll find better prices in unexpected places if you take the time to look. U.S. Daily News: What Is the Best Day of the Week to Book Airfare?